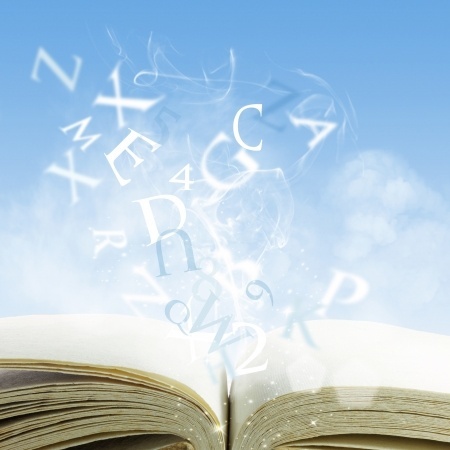 Grammar Giggle – Keeping Speakers in Perspective, or Is It Prospective? Comments Off on Grammar Giggle – Keeping Speakers in Perspective, or Is It Prospective? I came across this on a webpage while I was looking for potential speakers for a conference we’re working on. 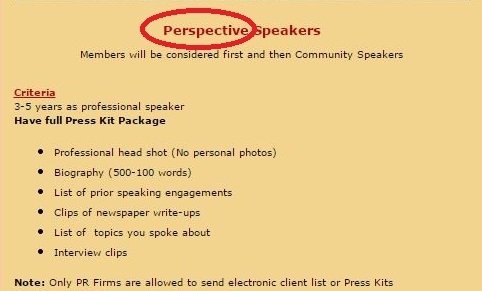 So I’m thinking what they are really looking for are anticipated speakers, not speakers they will view in the correct proportion (wrong on so many levels). I have emailed them about this error so they can fix it. But using it as a teaching moment, I include it here, leaving off the identifying information. My goal is never to embarrass a person or company who has an error in a public place, but to use it to teach you all what is really correct. Grammar Giggle – Boy That’s Hot! Comments Off on Grammar Giggle – Boy That’s Hot! A friend captured this little jewel on our local news last month. With all the weird weather across the country, I thought this was timely. Check out the weather in Safford. Arizona can be hot in the summer, but not usually in December and 128 is our all-time record high. It looks like someone’s typing fingers got a little carried away. And The Oxford Dictionaries 2014 Word of the Year Is . . . Comments Off on And The Oxford Dictionaries 2014 Word of the Year Is . . . I like to check out the new words added to dictionaries each year. So now (drumroll please) the 2014 Oxford Dictionaries Word of the Year . . . vape. Vape is an abbreviation of vapour or vaporize and is defined as “to inhale and exhale the vapour produced by an electronic cigarette or similar device.” So because it is not “smoking” because it is just vapor, it is “vaping.” Interesting. What were some of the entries on the shortlist you might ask? bae – “used as a term of endearment for one’s romantic partner.” I have to say were it not for Pharrell Williams, I never would have known this word existed or been able to guess at its meaning. Now that it is in the dictionary, that problem is solved. budtender – “a person whose job is to serve customers in a cannabis dispensary or shop.” My how times have changed. Way back when I think they called them a “dealer.” It must be the new legislation that has made it a more noble profession. Another interesting tidbit is that according to the Online Slang Dictionary, in 2012 the term “potrepreneur” was added to mean someone whose business involved marijuana. So I guess the potrepreneur is the person who OWNS the plant and the budtender is the one who SELLS it. contactless – “relating to or involving technologies that allow a smart card, mobile phone, etc. to contact wirelessly to an electronic reader, typically in order to make a payment.” Sounds suspiciously like Apple Pay or the Mobil Speedpass to me. A Google search for the Mobil Speedpass has as the first entry “Speedpass – Contactless Payment at the Gas Pump.” I love it when I’m right. normcore – “a trend in which ordinary, unfashionable clothing is worn as a deliberate fashion statement.” I can’t wait for that fashion show. slacktivism – “informal actions performed via the Internet in support of a political or social cause but regarded as requiring little time or involvement, e.g. signing an online petition or joining a campaign group on a social media website; a blend of slacker and activism.” I kind of like this one. We could come up with all sorts of combinations with slacker. How about bingeslacking meaning to do absolutely nothing for hours on end when you could be binge-watching or working, slackerselfie meaning pictures you take of yourself in the middle of the day while still in your pajamas, twerkslacker meaning someone who tries to twerk but is just too much of a slacker to make it to the “low, squatting stance.” Thanks to the Oxford Dictionaries 2013 Word of the Year (and the shortlist) for that little grouping. So there are your new words for 2014. Learn them, use them, and make them yours. I received this email and noticed the error in the address line. 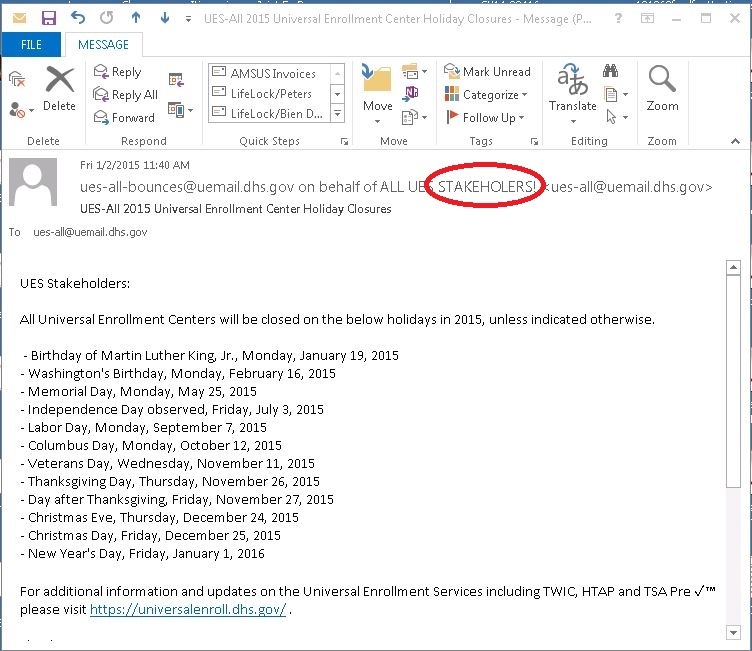 It is correct in the body of the email, so obviously someone knew the right way to spell it or perhaps they were just taking a 50/50 chance knowing that one of them would be right and hoping no one would notice.